Our club is a family run and family orientated martial arts school teaching the Shotokan style of Japanese Karate. We are one of the largest and most successful Traditional Karate groups in Scotland. Due to our proud membership of JKS Scotland, Japan Karate Shotorenmei and the Scottish Karate Governing Body (SKGB) Senjokai boasts benefits and opportunities for its’ members not found in many clubs in Scotland. Whether training for competition, fitness or self defense Senjokai Karate Academy offers top level instruction and classes delivered by award winning instructors while never forgetting our founding tenets of Honour, Integrity, Character. Start your 1 month free trial now! 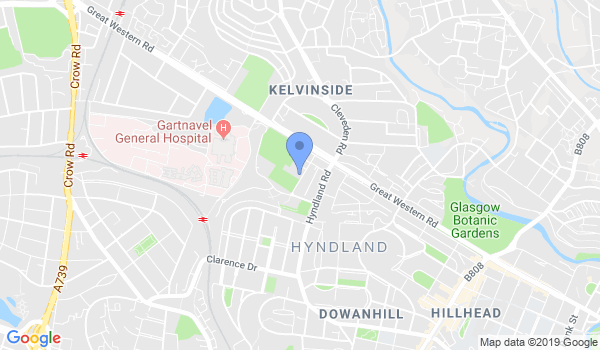 Would you like more information on hours, classes and programs available at Senjokai Karate Academy Glasgow - Hillhead/Hyndland? Please contact the school with your questions. Update the details, Write a Review or Report Error of Senjokai Karate Academy Glasgow - Hillhead/Hyndland.